Rabbit Polyclonal METT10D Antibody. 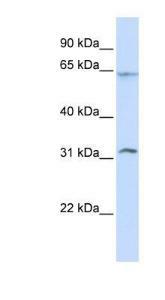 Tested Applications: Western Blot. Tested Reactivity: Human, Mouse, Rat, Bovine, Canine, Chicken, Xenopus, Zebrafish.